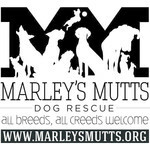 Harvey needs the Mutt Militia STAT! Harvey needs our help STAT! 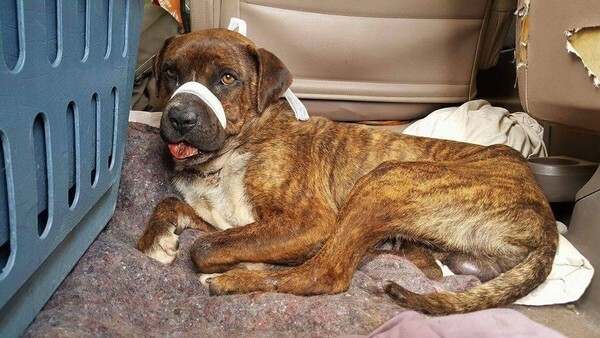 We were notified about a male boxer mix that had been brought into the Mcfarland shelter with a broken jaw and an embedded rope around his neck. We've had a few cases like this fella and knew right away how time sensitive his condition was at that the best place to send him for treatment was UCDavis. We got on the phone immediately working up transport, a foster after surgery, and Harvey instantly became a Mutt. Harvey went straight to our vet here in Bakersfield where he was kept overnight for IV Fluids, pain medication and the start of blood work. At only 40 pounds he is very very underweight. Luckily his blood work came back showing that he is healthy enough for surgery. Imaging at UC Davis revealed that Harvey's lower jaw is broken on both sides and does not appear to be a recent injury. To put this sweet boy back together is going to cost ALOT! The lower estimate for his procedure which includes splitting one side and placing a metal plate in the other side is $7,000 with even more if things don't go smoothly. Even with all the pain Harvey is in, he still wags his tail. 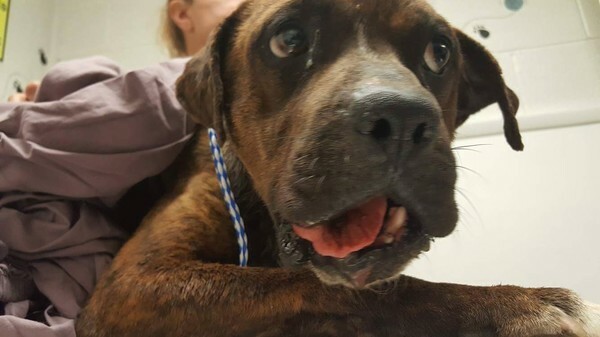 We need to raise money and fast to give this guy a chance at a long happy life. He's not even two years old and deserves our help!! Let's come together and make this happen Mutt Militia!! !